3-in-1 Hemp Massage Candle in Dreamsicle by Earthly Body is a massage aid you’ll love to use. 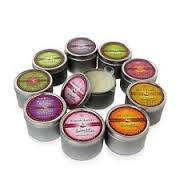 Let the candle burn for a short time and use the melted oils for a pre-warmed intimate massage. Made from a blend of natural plant oils (including Hemp, Almond, Grape Seed, Apricot) and with Vitamin E added to pamper skin, you’ll love how slick and smooth this oil glides over skin and the healthy glow it will leave you with. 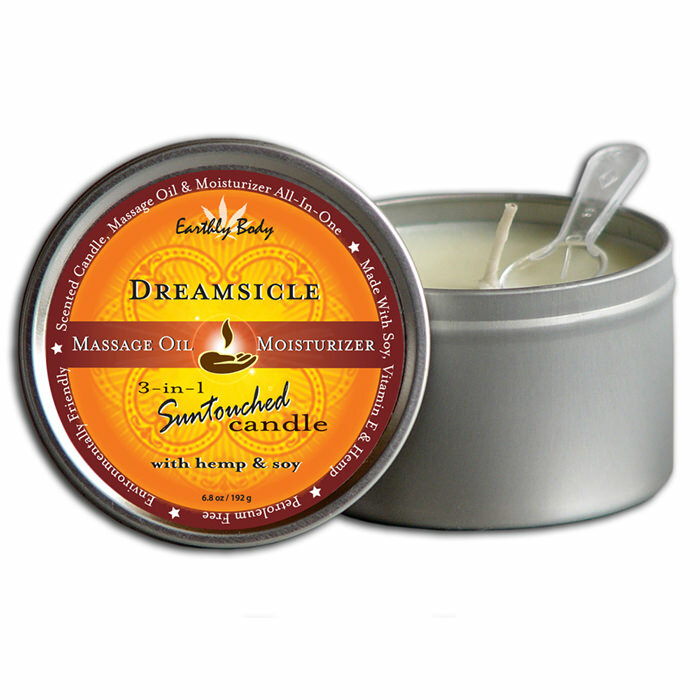 Dreamsicle scent is a delightful pairing of orange and vanilla that is sweet and playful. 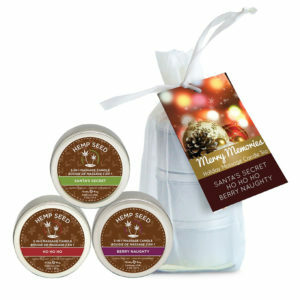 Vegan friendly and safe to lick, try Earthly Body for intimate moments you can feel good about inside and out. High Tide: combines the tropical scent of coconut with tangy lime and the floral aroma of verbena. Summer Lovin’: Inspired by tropical fruits and leafy palm fronds. Moonlit Beach:Inspired by tropical fruits and leafy palm fronds. 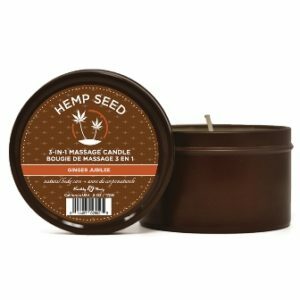 Manufacturer’s Declaration: the oil in the hemp-based products has been tested in accordance with Health Canada and USDA guidelines .